It’s difficult to imagine these days, but in the 1880s there were just fields here at what is now the junction of Westwood Lane/Blackfen Road. James Lee, a market gardener and florist kept ‘Strawberry Gardens’ here, and he lived in a rather run-down cottage with his wife Elizabeth. At that time it was still part of the Danson Estate. But the soil was heavy and three years of wet weather led to bad crops… and when his wife died he started to get behind on his rent – it was his wife who had kept the accounts. In April 1906 he went bankrupt, and Strawberry Gardens was taken over by Walter Cook. On 16 March 1819 the London Gazette announced the bankruptcy of Richard and Robert Day. 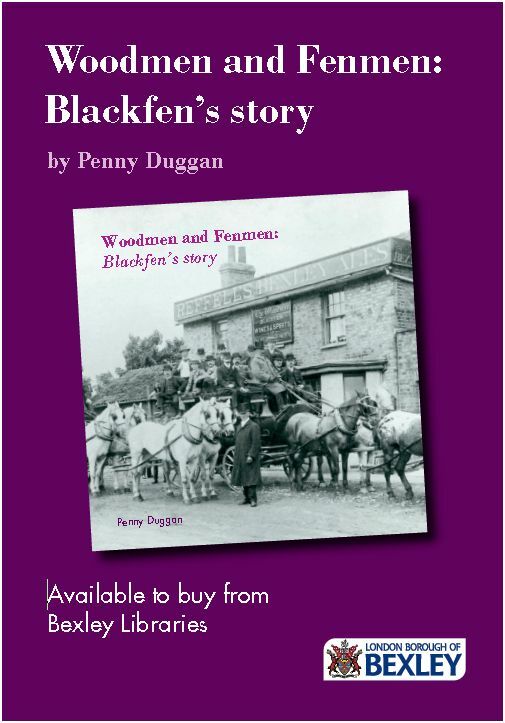 Their father, Richard Day, had purchased Blackfen Farm in the 1790s and rented it to the farmer, John Solomon, for £200 per year. But in 1819 the brothers, who were also co-partners in a seed-crusher and oil-broker business, got into financial trouble and the farm was put up for auction. The four-bedroom farmhouse was in 134 acres of land which was ‘abundant with game’. The farm was located to the west of Days Lane. However, ‘Dayes Lane’ is referred to in the records as early as 1681, long before the Day family’s association with Blackfen.